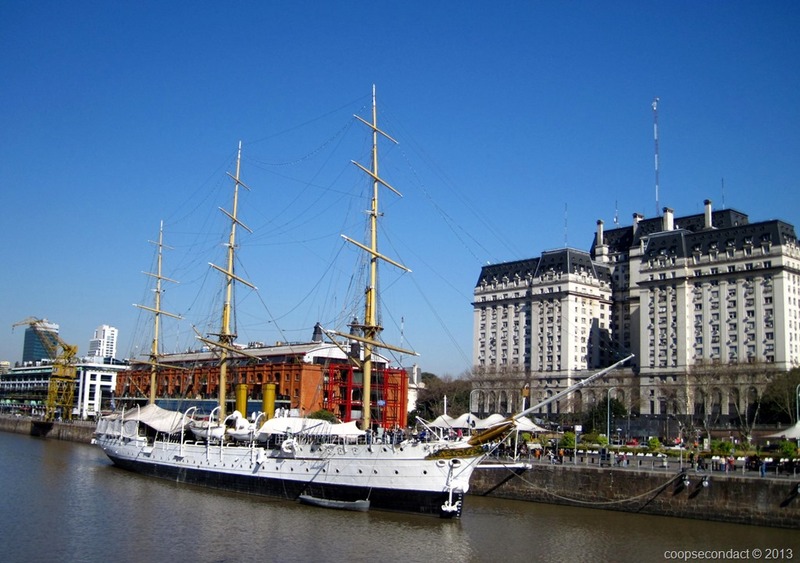 Puerto Madero (photos) began operating as the main commercial port for Buenos Aires in 1897. It is located very near to Plaza de Mayo and the Pink House. It gets its name from its designer, Eduardo Madero. Only 30 years later it was replaced by Puerto Nuevo. For the next 50 years Puerto Madero was left to deteriorate. In 1989, the government initiated a project to rescue and redevelop this area for residential use. Their objective was to create an inviting residential and commercial space while retaining the connection to its past. The result is some of the most expensive and exclusive condos and apartments in the city of Buenos Aires. The original brick warehouses were gutted and redesigned to hold restaurants and shops. Some of the original cranes have been left in place. These elements combine to provide a link to its past. 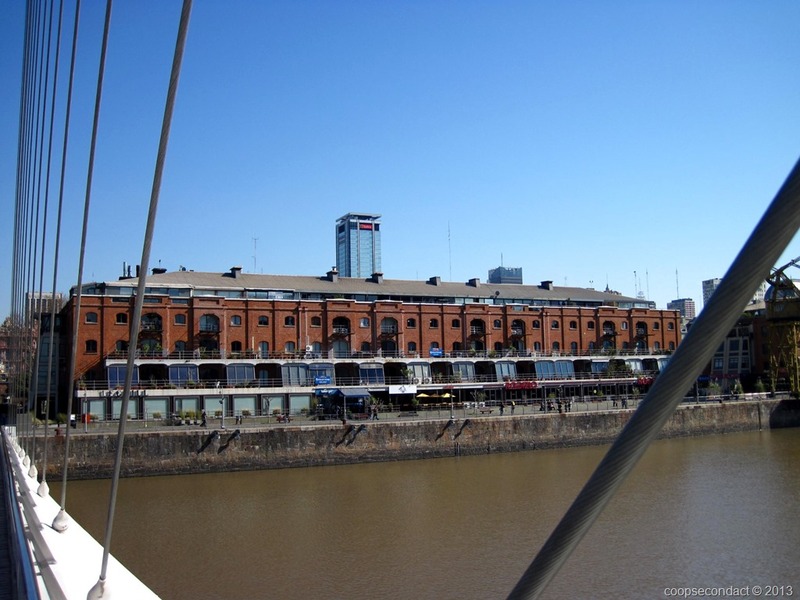 Alongside the warehouses is a very nice walkway, a Malecon, that makes for a pleasant stroll and provides a good view of all of Puerto Madero. One of the most iconic sights in all of Buenos Aires is Puente de la Mujer, or Women’s Bridge. The architect has described the design as the synthesis of a couple dancing the tango. 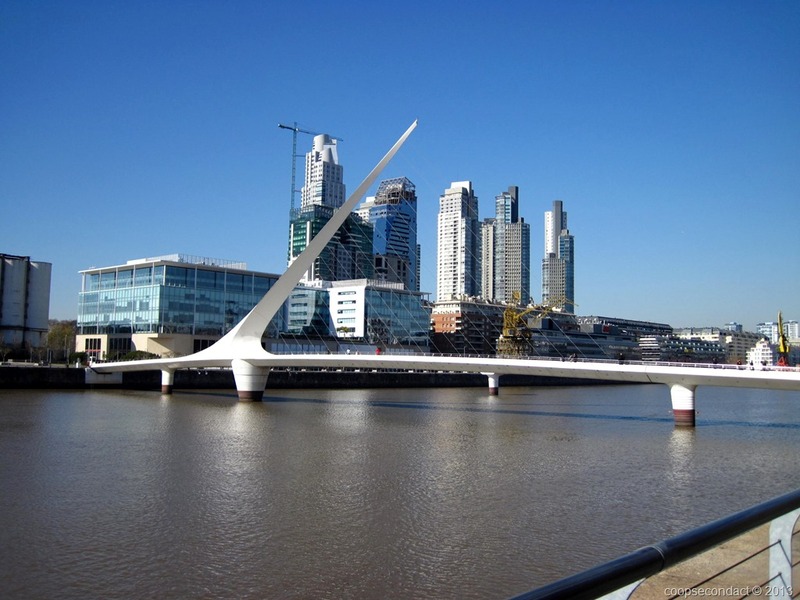 It is a 560 foot pedestrian bridge that connects the two sides of Puerto Madero. It rotates on a central pylon allowing vessels to pass. Puerto Madero is the newest neighborhood in Buenos Aires and is well worth a visit.